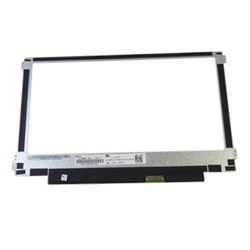 New Acer Aspire E3-111 E3-112 ES1-111 ES1-131 Laptop Led Lcd Screen 11.6"
Home → Laptop Screens → Acer Aspire E3-111 E3-112 ES1-111 ES1-131 Laptop Led Lcd Screen 11.6"
Acer Aspire E3-111 E3-112 ES1-111 ES1-131 Laptop Led Lcd Screen 11.6"
Description: New genuine Acer laptop led lcd screen. **If you have a touchscreen this is only the screen part of it. You may still need to purchase the digitizer or the touchscreen module instead. Compatible Part #'s: KL.1160D.012, KL.11605.017, KL.11605.020, KL.11605.034, N116BGE-EA2, B116XTN02.3. Acer Aspire E3-111, E3-112, E3-112M, ES1-111, ES1-111M, ES1-131. Acer Aspire One Cloudbook AO1-131, AO1-131M. Acer TravelMate B115-M, B115-MP, B116-M, B-116-MP.